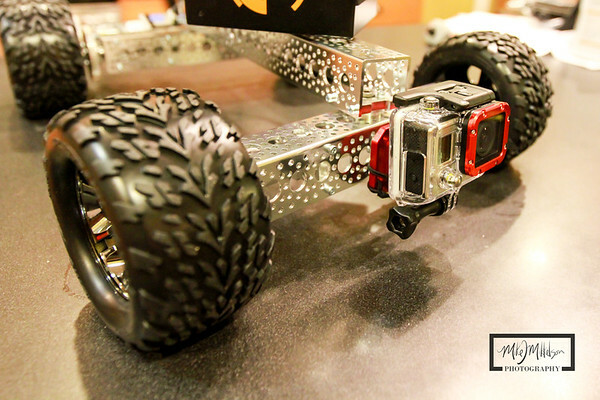 I use the term DIY loosely on this, as the only thing that is custom is the rover itself. 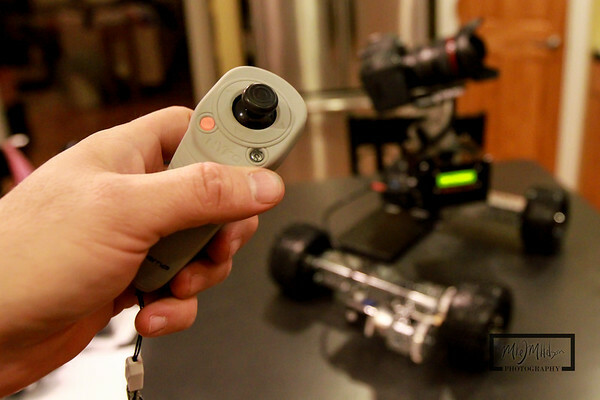 The eMotimo TB3 is a time lapse robot that is normally used by itself, or in conjunction with a slider. I do have a 6 foot T-slot slider that I'll by using with the TB3 and Dynamic Perception stage zero hardware with quick release. The problem is that the slider limits the distance you can make the camera travel. 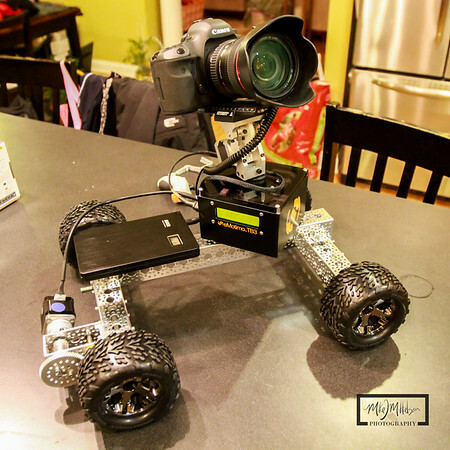 After my recent DIY Actobotics projects, including the Slow Motion Cable Cam, Mini Auto-Reverse slow motion slider, and adjustable width slow motion ladder dolly, I came up with the idea that a hyperlapse rover would be a complimentary addition to my Time Lapse fleet. I call it a "hyperlapse" rover only because it has the ability to cover much larger distances, time and patience permitting. 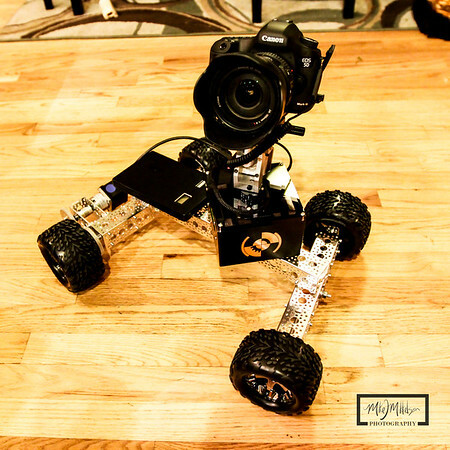 I used Actobotics parts from Servocity.com to build this simple rover that uses a stepper motor and RC Monster Truck wheels to push itself forward. The eMotimo TB3 allows for 3-axis moves in 2 or 3 step sequences, where you select a start point and then drive the rover to the end point. Once you set the interval and how long you want the sequence to take, the TB3 takes over and drives back to the start point to begin the sequence. Unlike my ladder dolly, which moves very slow, but never stops, the eMotimo Rover takes a picture, then moves forward and stops, then repeats until you get to your end point. Very simple set up. One part that is missing is the Stepper Motor mount. This is a mythical part that is supposed to be released soon, but I couldn't wait any longer and mounted the stepper motor directly to the channel. The 8mm to 1/4" coupler had to be ordered from ebay, since that also wasn't available from ServoCity, but hopefully they'll release one at the same time as the motor mount. To offset the motor from the axle, I used a combination of hub and pinon gears. I have a 1/4" threaded mount on the front of the rover for a GoPro in case I want to do a low angle time lapse as a secondary camera. 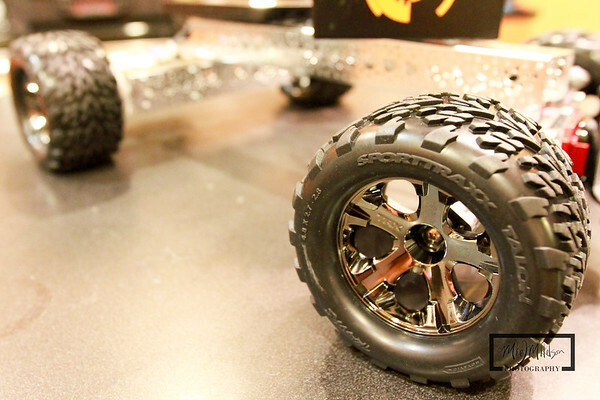 I bought Traxxas truck tires for remote control vehicles to give it an aggressive look and some "offroad" capabilities. It can be rear-wheel or front-wheel drive depending on how you set the start and end points, but only one wheel at the moment has a drive train. I'm using the 5:1 Geared Stepper Motor from eMotimo, and also have the 27:1 motor if I really want to slow the rover down. 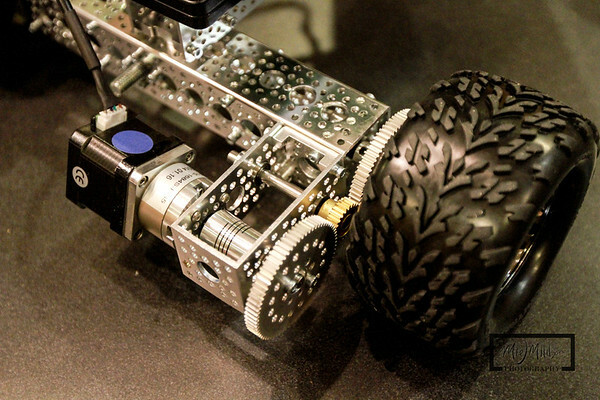 The front and read "axles" are able to rotate, so the the rover can drive in an arc or in circles. I didn't want to have the rover always going in a straight line, so I designed the rover axles to have a bit of rotation. Unfortunately, the weather in Wisconsin has turned cold again, so I can only play with this inside. If some of the snow melts, maybe I'll get out and get some initial test sequences. I'll post as soon as I have something! 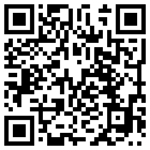 Update #2: Click here to see the updated drive train.